You may have recently seen several articles about the EU General Data Protection Regulation (GDPR) which is coming into force 25th May 2018. This regulation is designed to harmonise privacy laws across Europe and give control to individuals as to who they allow to store data about them. Organisations operating in the EU will have to get consent from individuals to store personal data about them and take measures to ensure the security of that data. Organisations require a lawful basis for processing personal data. Not only do they need explicit consent from individuals to store their data, they need a lawful reason for storing and processing it e.g. for performance of a contract for supplying goods or services or due to legal obligations of the organisation. Data should be kept for no longer than is necessary, so organisations will have to have data retention periods. Individuals have the right to request from organisations the personal data held about them and how this data is being processed. They also have the right to request that an organisation erase their personal data, “the right to be forgotten”. Get the latest information from Mekon – confirm your subscription to our free monthly newsletter! Each month, we publish Bitesize tips and tricks (including STE, Business Rules & Metadata), free webinars, events, product releases, industry news, special offers and more. In order to comply with the General Data Protection Regulation (GDPR) which goes into effect in May 2018, we ask that you confirm your free subscription to the Mekon newsletter by clicking here. After 25 May, 2018 we will be unable to keep sending you our monthly newsletter unless you have confirmed that you still want to receive it. Don’t worry, your details won’t be shared with anyone, and you can unsubscribe at any time. Join the Center for Information-Development Management for the annual Content Management Strategies/DITA North America Conference in Denver, Colorado, 23-25 April, 2018. Those new to content management and/or DITA will find guidance for starting their journey, while for experts, the our program offers ways to continue pushing the boundaries. Mekon’s Joe Pairman will be joining the speaker line up presenting: The world needs your metadata: Is your DITA content ready? See clearly what unspecialized DITA can currently do and what still needs to be customized. This will help with near-term implementations but will also encourage feedback and contributions to the future of metadata support in DITA 2.0. 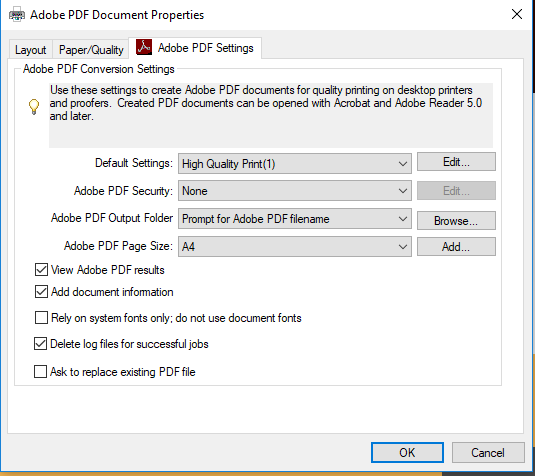 Select Adobe PDF printer Properties. Go to Adobe PDF Setting tab. In Default Settings make sure it is set to High Quality Print by using the drop down list. Remove tick from “View Adobe PDF results”. Remove the tick from “Rely on system fonts only; do not use document fonts”. Windows key + E = Open explorer. Control (Ctrl) + F = Find – will search most applications and browsers for a specific string. Control (Ctrl) + W = Close down the current application on window on your screen. Alt + Tab = Switch between windows. Windows key + M – Minimises all windows. Windows key + D = Show/hide desktop (alternative to windows key + m). Google Chrome – an obvious choice that dominates the web browser market and for good reason. Its simple yet fun layout allows for speedy surfing. Our favourite features are that the URL bar at the top doubles up as the google search bar and there is an abundance of extensions to customise your browsing experience. Microsoft Edge – After Internet Explorer was slowly overtaken by the likes of Google Chrome and Mozilla Firefox, Microsoft had to switch things up. They decided to create Edge which is IE’s younger faster brother. Features that we like here at Mekon are the ability to create a reading list from sites you visit and the annotating feature, this allows you to annotate freely over any webpage and share it with peers. Mozilla Firefox – Firefox has been up there with Google Chrome for a while competing for best the best browser title. It is the browser of choice for most Linux users, so you can guarantee there’s going to be lots more technical extensions than on Google Chrome. Our favourite feature of Firefox is that it is a very secure browser with inbuilt security functions party due to it being open-source. Mekon released Eclipse S1000D Version 11.1 for FrameMaker in March 2018. Add support for HICO database integration. Update the application to support ATA CMP Issue 4.2 BREX rules and project configuration. Mekon released Eclipse BookBuild Version 7.2 in March 2018. Added new element Component Number to allow a component number to be displayed on all the pages. We are proud to announce the immediate availability of version 20.0 of our industry leading XML editing suite of products: Oxygen XML Editor, Author, Developer, WebHelp, PDF Chemistry and Web Author. Version 20.0 brings you a variety of new features and improvements that focus on productivity, efficiency, and simplicity. This course develops essential skills for technical communicators starting with authoring in a DITA environment. It teaches the theoretical principles of both XML and DITA, and how these principles are applied in documentation projects. It provides the foundation knowledge for working with DITA authoring, publishing, and content management software tools.  It then enables participants to use oXygen Author productively to create, edit, and manage DITA topics and maps. Technical communicators who are interested in, or have already started, working in a DITA environment. Mekon House, Sutton, London, SM1 1JN, UK, or at your premises. The course will boost your authoring productivity by giving you a thorough understanding of oXygen XML Author’s capabilities.